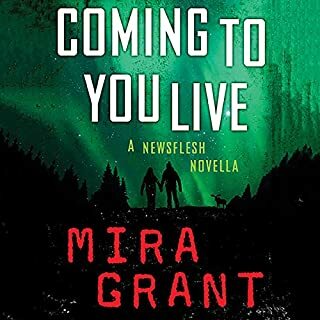 A new beginning for Mira Grant's New York Times best-selling Newsflesh series! We had cured cancer. We had beaten the common cold. But in doing so we unleashed something horrifying and unstoppable. The infection spread, leaving those afflicted with a single uncontrollable impulse: feed. Now, 20 years after the Rising, a team of scrappy underdog reporters relentlessly pursue the facts while competing against brother-and-sister blog superstars the Masons. What disappointed you about Feedback? 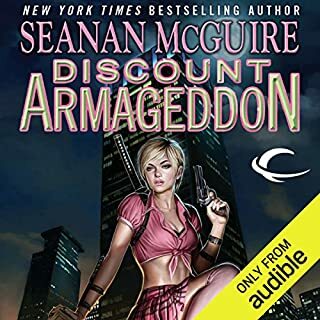 I've listened to over 50 audiobooks and this stands out as the worst narration. I don't usually have strong opinions about it, but my god. There's a lot of the protaganist's inner dialogue and for whatever reason the narrator decided to draw out nearly every vowel sound. Ash is supposed to be this Irwin badass - and yet every thought is expressed like a plea. Listening to any other character was a relief. 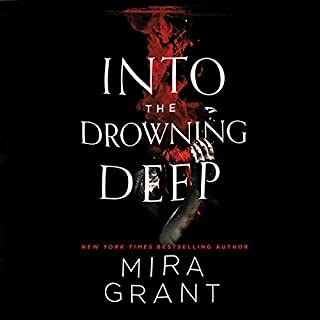 I've listened to all of the Mira Grant books and will do so so in the future as along as there's a different narrator. She made me hate the main character with her incessant vowel dragging. 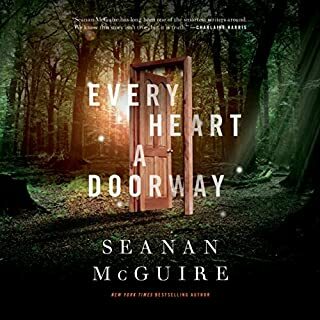 Mira Grant (pen name for Seanan McGuire) has done it again! Her Newsflesh series combines the survival horror of zombie apocalypse with the best political intrigue thrillers out there, while spicing it up with some really tough questions on human nature, the job of the news media as the 4th estate, and what it means to be a medical practitioner, among other things. I HIGHLY recommend this audiobook. No. 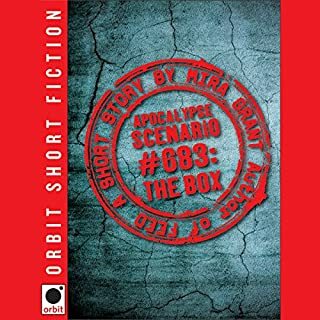 The narrator's accent, while appropriate for the character, made it rough for listening in longer batches than a few hours. I liked having more story in the Newsflesh universe, but to be honest this doesn't appear to really add much to the series. I still enjoyed it but was looking for something else. Those who insist that this book is some kind of "list fulfillment" in regards to diversity have never hung out in the poorer parts of the East Bay. The characters and their relationships were great. These are characters I can relate to. I need more about them! Please!! I didn't need the exposition on gender, pronouns, and homelessness in LGBTQ youth, but--based on other reviews--I imagine other people did. It felt much more like the author was letting loose in this book, not trying to hold things back in hopes of selling copies. There were some mistakes in pronunciation. The author says Ash's full name is pronounced "ace-lynn" and the complete butchering of Buffy's last name made me cringe. Otherwise, the performance was great. A great read, when it gets out of it's own way. One of the largest questions I had during the course of Feed (the original) was what was going on on the Democratic side of the fence. In that book, you would have thought the entire election process was a single-party race. Feedback exists to answer that question, filling in the gaps not only on the Democratic side, but offering a view into lesser- or under-used characters from the Republican party as well. And sometimes, that's the book's greatest downfall. As someone who's read the original trilogy obsessively, I both appreciated and was annoyed by the symmetry to the original book--the attacks on the campaign that often followed similar ideas and themes, and were timed to nearly coincide with one another. While Grant did her best to lampshade the "reasons" no one heard of these events in Feed, the rationales used are flimsy at best, dropping any suspension of disbelief right on the floor. The book only really picked itself up to a four-star rating about mid-way through, when (mild spoilers, sorry! It's only this sentence) the cast took a hard left turn away from the politics and started making their own way into the world. That being said, Grant completely avoided one trap that often catches authors as they expand a 'verse: new characters hero-worshiping the original cast. Instead, the new cast offer some much-needed change in perspective for the Newsflesh world. Part of me doesn't even want to mention this next bit, but as I've seen other reviews already expressing annoyance about it, my two cents is thus: While I never would have accused Grant of being close-minded, I'd always been a little bothered by the lack of outright LGBTQIA representation in the main series (barring a nod to Maggie and Buffy) and her general lack of a lesbian/bi/other female lead in any of her works, including the McGuire titles. The delicious, and realistic, diversity of Feedback's cast is like a breath of fresh air in a lot of ways and I hope she continues to expand her horizons and the voices of her main characters. And I have to admit, some of the featured zombie-laden traps are absolutely inspired. As to the narration of the audio-version, however...Georgia Dolenz's lead as Ash is spot-on perfect. Every other character, however, ranged from lacking to completely indistinguishable from everyone else. And though Dolenz hits a certain stride about mid-way through the book, the beginning of the book is filled with stumbles and emotionless deliveries of side-characters lines. More often than not, this made listening to the book a chore, rather than a treat. I lost track of how many times I needed to back track a minute or more just to figure out what was going on. That being said, it certainly wasn't the worst narration I've heard, and I can't let that detract too much from an otherwise enjoyable book. 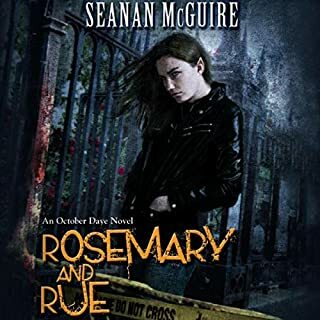 I do hope that, if there's a follow-up book with this cast (and I suspect there will be), Grant takes strides to let the cast have their own story, rather than riding on the Mason's coat tails. My only negative is I wanted a list of the stories in the edition which was impossible to find. basicly a repeat of the first 3 books.. I was hoping for more story to the first 3 books, side stories are always interesting but this was completely a repeat of the first 3 with a progressive modern point of view. The Irish lead character was very good, the rest was blah.